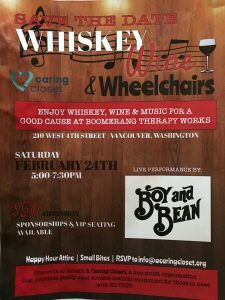 Whiskey, Wine and Wheelchairs is a professional networking/FUN-draiser. 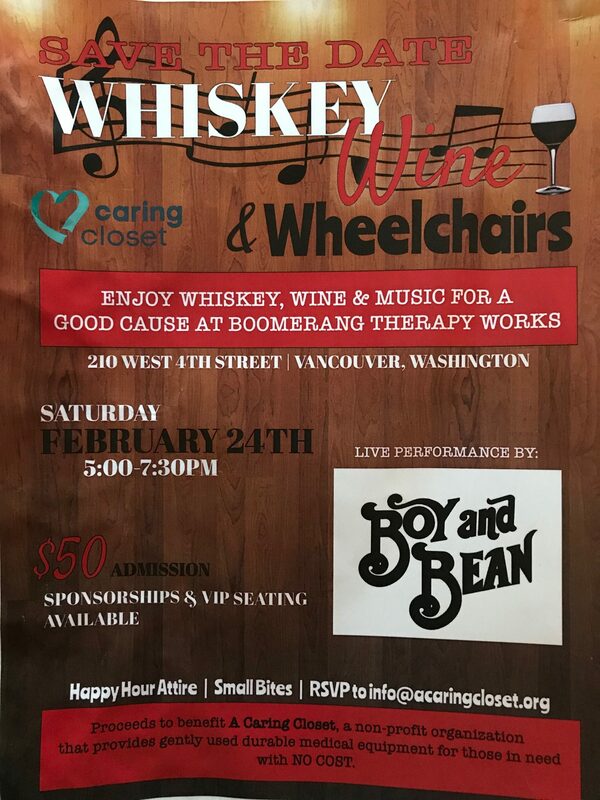 Come out and have some fun networking all while raising money for a great, local non-profit! All proceeds go to benefit A Caring Closet. This is a non-profit Organization in Clark county that collects donations of gently used durable medical equipment and gives those items to the elderly population for FREE. If you are interested in becoming a table sponsor or VIP seating, you may contact Sara Scheetz at the email address below.